<p style="&quot;text-align:" justify;"="">Agricultural biotechnology, also known as agritech, is an area of agricultural science involving the use of scientific tools and techniques, including genetic engineering, molecular markers, molecular diagnostics, vaccines, and tissue culture, to modify living organisms: plants, animals, and microorganisms. Biotechnology is used in many ways in agriculture. 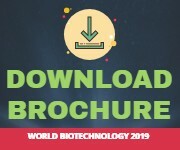 Agricultural biotechnology companies work to supply farmers with tools to increase the yield of plant and animal products, while lowering the costs of production. Agricultural biotechnology can also include production of plants such as orchids for ornamental purposes and plants that can be used for fuel production (biofuels). To accomplish these goals, biotechnologists develop products to protect animals and crops from disease and help farmers identify the best animals and seeds to use in selective breeding programs. Environmental biotechnology is a system of scientific and engineering knowledge related to the use of microorganisms and their products in the prevention of environmental pollution through biotreatment of solid, liquid, and gaseous wastes, bioremediation of polluted environments, and biomonitoring of environment and treatment processes. The International Society for Environmental Biotechnology defines environmental biotechnology as "the development, use and regulation of biological systems for remediation of contaminated environments (land, air, water), and for environment-friendly processes (green manufacturing technologies and sustainable development)". Science through the IAASTD has called for the advancement of small-scale agro-ecological farming systems and technology in order to achieve food security, climate change mitigation, climate change adaptation and the realisation of the Millennium Development Goals. 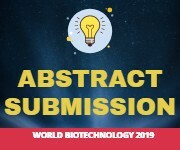 Environmental biotechnology has been shown to play a significant role in agroecology in the form of zero waste agriculture and most significantly through the operation of over 15 million biogas digesters worldwide.